I absolutely would not hesitate to recommend him, he replaced an old boiler for me. I live along way away and he organised with the tenant to gain access. He was a pleasure to deal with. The shower in our rental flat broke down so a quick call to Stefan and he went in, diagnosed the problem and fitted a new shower unit within 48 hours. The tenant was pleased with the quick turnaround and Stefan made life easy for us. Thanks so much. Faultless service, was very flexible to make time to install a new boiler. Good communication throughout other than a couple of emails went to my junk mail (not his fault). Thoroughly recommended. Unvented hot water cylinder leaking at immersion heater. Drained down cylinder, removed old immersion heater, cleaned up threads and fitted new element. Cleaned up scaled pump unions, fitted new gaskets. 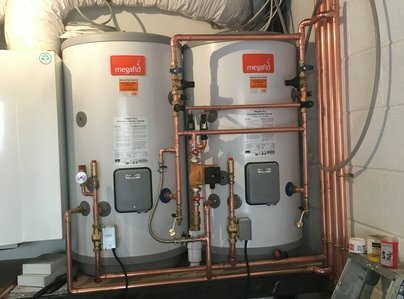 Stefan did a fantastic job at replacing our old water cylinder and fitting new copper tubes. He sent his estimate on the same day I contacted him and withing the same week he had already completed the job in a morning. I couldn't recommend him more. His work does reflect his professionalism and effectiveness. Stefan has done several jobs for me over the last 14 years, both at home and in a rental property, including fitting a new boiler at very short notice, carrying out the annual gas safety inspection and miscellaneous plumbing and heating jobs. He is a very pleasant person to have working in your property, and although busy he responds quickly when contacted. Great service! 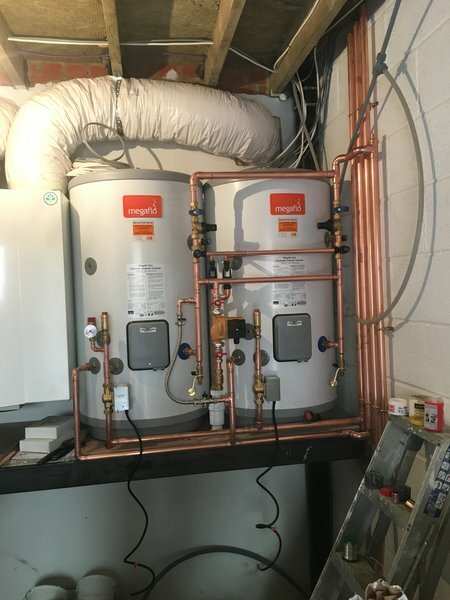 Stefan has been our plumber of choice for years and has recently fitted a new gas fired boiler for us and a new shower valve. He is always extremely helpful and reliable. Stefan resolved a leak in a shower cubicle, he resolved the problem very quickly. He left no mess after his completion. Annual Boiler Servicing and Gas Safe Certificate completion. Stefan was punctual,efficient, tidy and friendly.